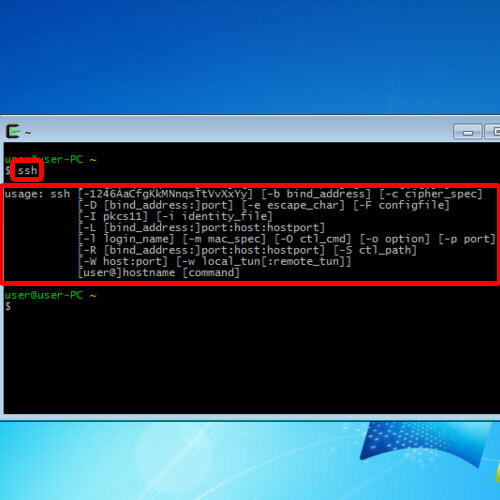 In this tutorial, we will teach you how to setup SSH on windows. For this tutorial, we will be working on Cygwin, which is a SSH tool for Windows, with the help of which you can setup and configure the SSH server and client. You can log on to cygwin.com to download and install the application. 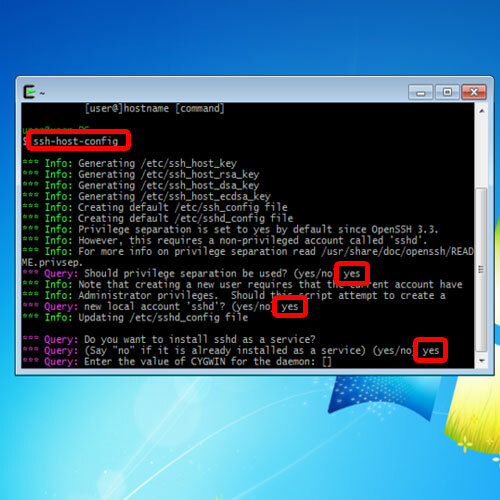 For this tutorial, we will assume that you have already downloaded and installed cygwin on your computer. 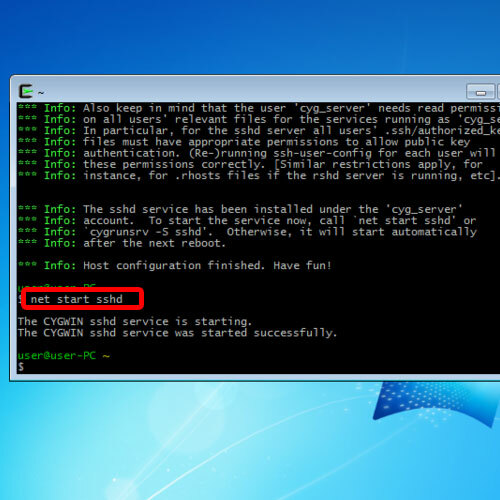 Follow this step by step guide to learn how to setup SSH on windows. First of all, run the cygwin application as an administrator. This would open up the Cygwin command line interface. To check whether the SSH component is installed on your system or not, simply type SSH and hit enter. If the help component opens up, this means that the SSH is installed on your system. Now let’s configure the SSH server. For that, let’s start by typing ssh-host-config and hit enter. With that done, the default key files will be generated and then you would be prompted whether the privilege separation feature should be enabled or not. Simply type yes and move on with the process. Next you’ll be prompted to create a new account with special privileges. Over there, type “yes” and the script will continue. After that, it will ask you whether to install a service with the same name as the user, which is SSHD in this case. Just type yes here to move on with the process. Next, you will be asked for the value of Cygwin for the daemon. Over there, we will type netsec and hit enter. Netsec is basically the net section of the Cygwin application. After that, the processing will continue and with that done, a privileged account will be made with the default username. Over there, it’s asking us whether we want to create an account with a different name. 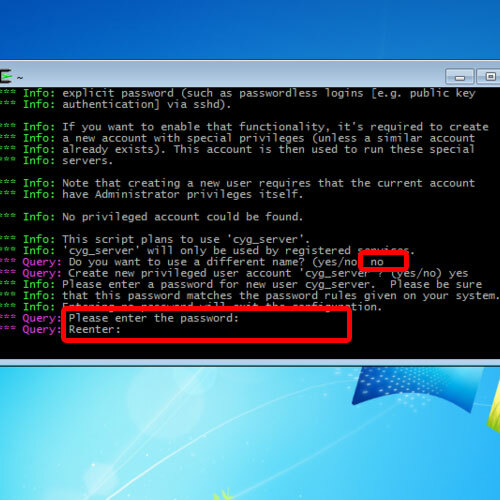 Since we are fine with the default username, cyg_ server, we’ll type no and move on with the process. Now that the privileged account has been made, we would be required to type and retype the password. With that done, the server configuration is complete. Now, you must restart the SSH service. For that, type the command net start sshd and hit the enter key. 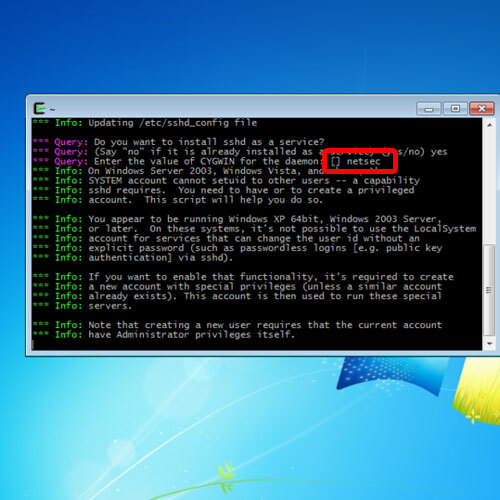 This will restart the service and with that taken care of, the SSH server would be setup and configured successfully in Windows. Now let’s close the Cygwin window and open up the Computer management window. Over there, if we go to Users, notice that both the users have been added which we had setup in the configuration file before. And that’s basically how you can setup and configure SSH for windows.